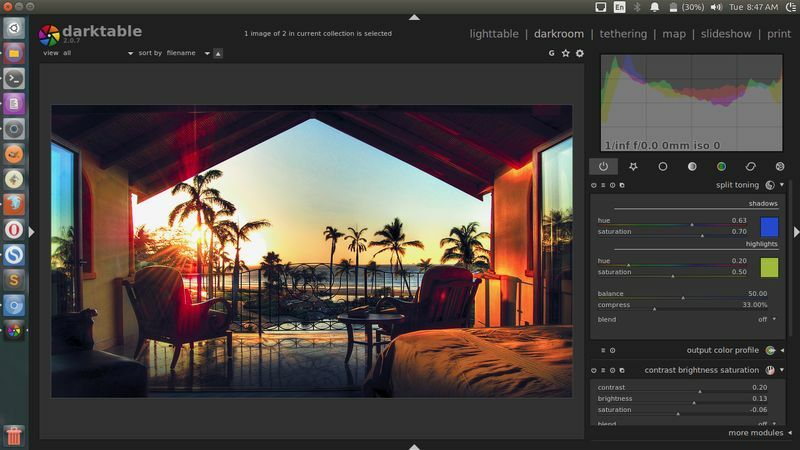 Install/Update Darktable Latest Version Stable - Darktable is an open source photography workflow application and raw developer A virtual lighttable and darkroom for photographers. It manages your digital negatives in a database, lets you view them through a zoomable lighttable and enables you to develop raw images and enhance them. It is freely available for major Linux distributions ( e.g Debian, Ubuntu, Fedora, OpenSuse, Arch ), macOS and Solaris and is released under the GNU General Public License 3 or later. Darktable focuses on the workflow to make it easier for the photographer to quickly handle the thousands of images a day of shooting can produce. It's also one of the very few FOSS projects able to do tethered shooting. The internal architecture of darktable allows users to easily add modules for all sorts of image processing, from the very simple (crop, exposure, spot removal) to the most advanced (simulation of human night vision). The user interface is built around efficient caching of image metadata and mipmaps, all stored in a database. The main focus lies on user interaction, both in terms of a smooth interface design as well as processing speed. High quality output is also one of our goals. You can see full changelog from its official recent news page. To install or update the older version is pretty simple. All you need is add the its PPA to your Ubuntu ( available for Ubuntu 16.10 Yakkety Yak / 16.04 Xenial Xerus / 14.04 Trusty Tahr ) and derivatives system e.g Linux Mint. Press Enter to confirm and continue the installation. The APT will tell you the size package. Confirm the installation dialog by pressing y. That's all I can write about Darktable latest stable and the step-by-step installation on Ubuntu Linux and derivatives. Thanks for visiting us.